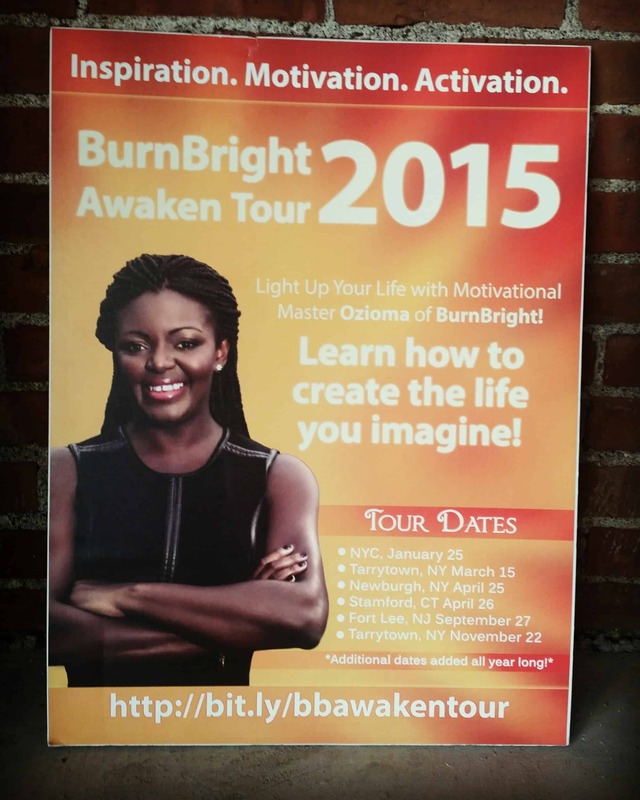 BurnBright: Igniting Human Potential – Back On Tour! Comments Off on Back On Tour! This year I was able to make one of my dreams cone true. I launched my first national speaking tour. The BurnBright Awaken Tour has gifted me with the opportunity of sharing my message with a wider audience. What really makes this tour special is my approach to it’s design. Each address some of the most pressing concerns that everyday people face as it pertains to being their best and brightest selves. With each talk I gained even more stride, using humor, personal stories and powerful practices to leave audiences in action. As the year comes to a close, I am excited to add Arizona to our list of locations. Please join me for the last two dates on this magical journey. The experience will shift your life in ways you coudn’t even imagine. Isn’t it time to wake up to the life you were meant to lead and live it fully?